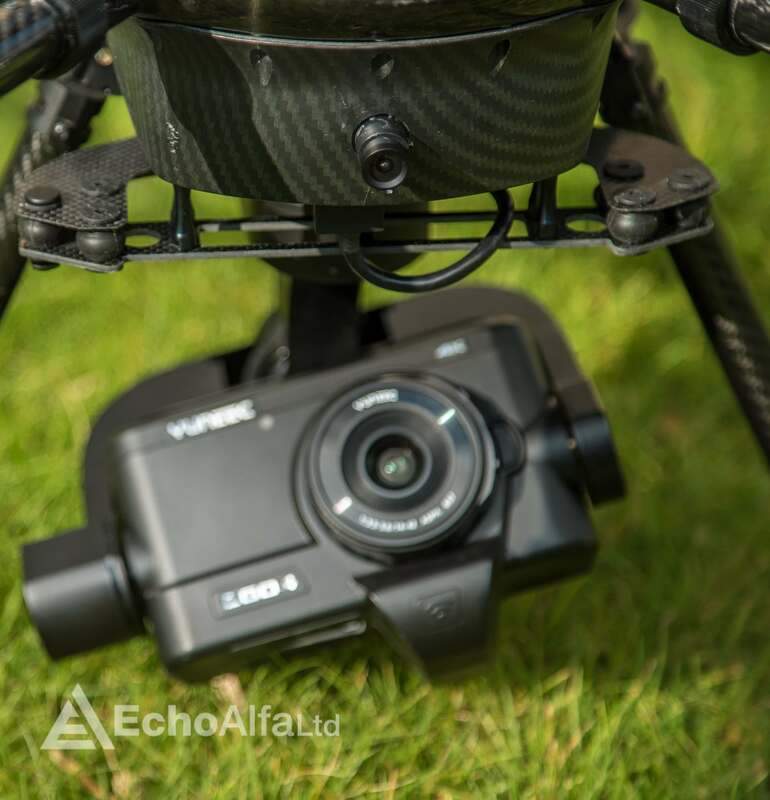 ETHICS STATEMENT: This post has been written solely to express our views on the Yuneec Tornado H920. We have not been incentivised in anyway by either Yuneec or Drone Ops. 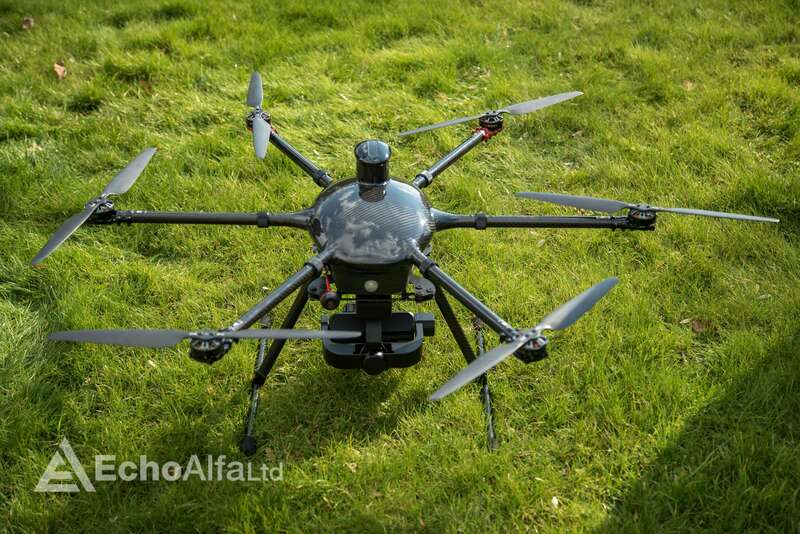 The Yuneec Tornado H920 is a Hexacopter UAS that can carry a number of different cameras options such as the Panasonic GH4 or the Sony A7S. 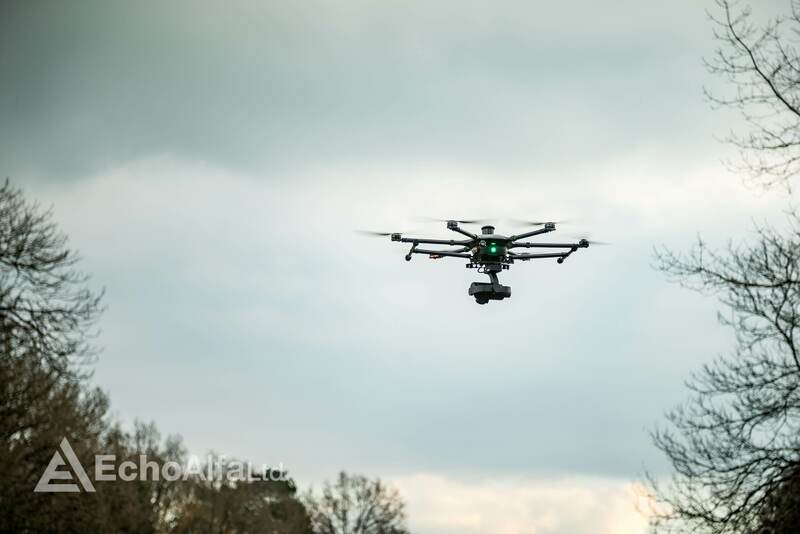 On Thursday 25th February we travelled down to Kent to take a look at a new Hexacopter that has really piqued our interest, the Yuneec Tornado H920. We were invited down by the guys at Drone Ops to take a look at one of the few H920’s in the country. The Kent countryside provided a fantastic backdrop for a day’s flying. 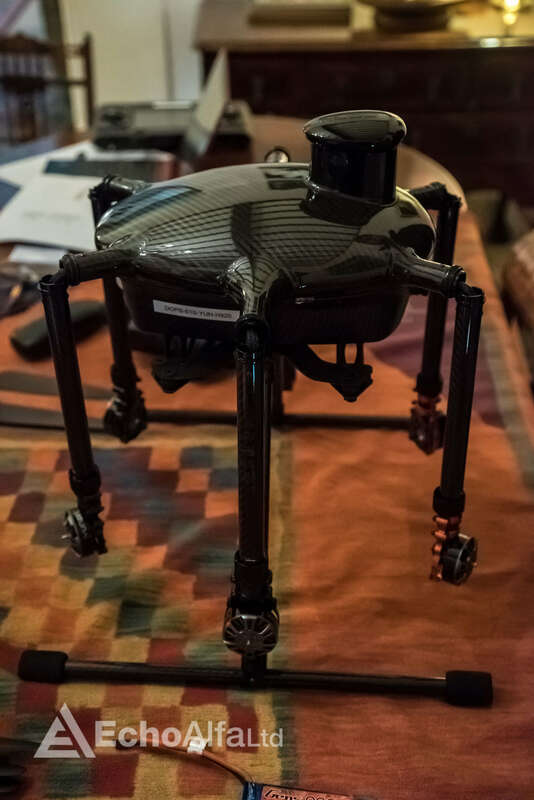 We’ve been following Yuneec for a while now and when Intel got involved we knew they would be one to keep an eye on. 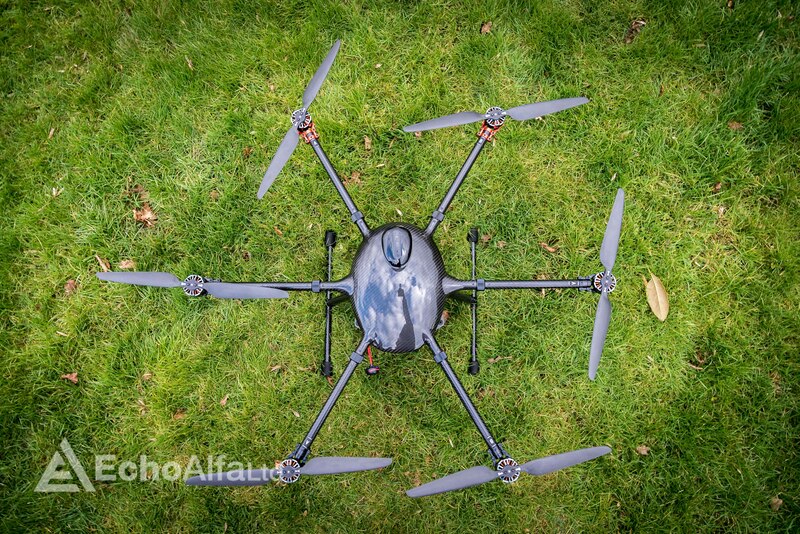 Whilst Yuneec’s Typhoon H is the drone that everyone is talking about after it’s unveiling at CES back in January revealed it was packing collision avoidance tech, the Tornado H920 is a much more commercially orientated platform aimed squarely at those looking for a rig that will replace the likes of a DJI S900 or S1000. The major USP of the Tornado H920 though, is that it manages to carry a similar payload to the aforementioned DJI platforms while remaining under 7Kg (all up weight with GH4 equivalent is 5.5Kg!) and still achieves respectable flight times. Our first impressions of the H920 were very encouraging. The whole kit packs down very neatly into a sturdy flight case and it’s clear a fair amount of thought has gone into the process. The only caveat is that the props must be removed from the motors before packing the airframe away. At the moment that means removing 12 small hex screws every time you want to box it up but we’ve been told that some quick release props are imminent. The build quality of the aircraft itself was good. 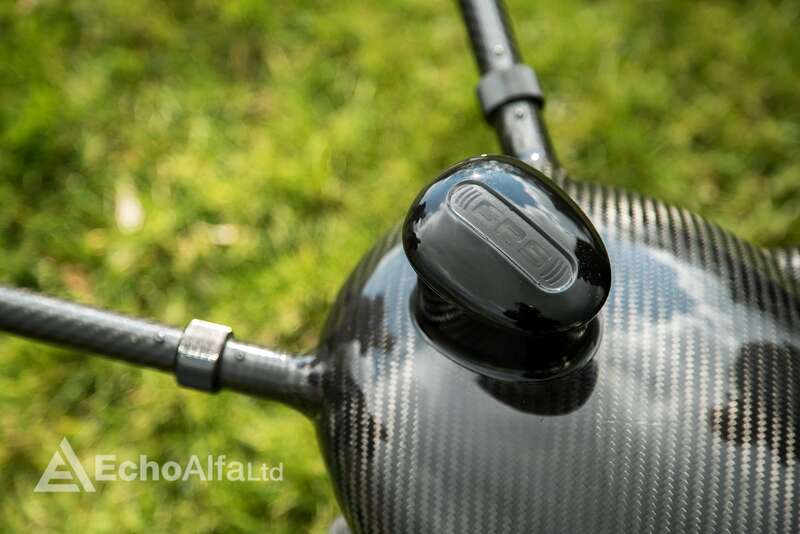 Motor mounts are all anodised aluminium and the arms, legs, props and top of the main body are all made from real carbon fibre. Unfortunately the same can’t be said for some of the accessories and the transmitters. The ST-24 and the ST-12 both had a very plasticky feel to them and I suspect they won’t hold up very well to the rigors of working in the field, but only time will tell. 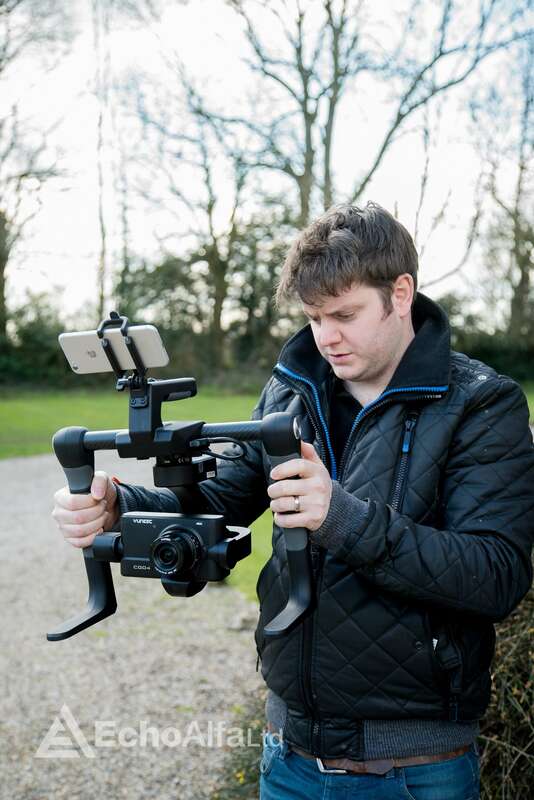 The included Proaction ground handle that comes with the kit and allows the gimbal to be used on the ground, a bit like a DJI Ronin or Freefly Movi, was probably the worst offender when it comes to build quality and the over use of cheap plastic. Whilst they felt sturdy in hand, the top handle plastic felt very cheap and the point where the phone cradle attaches to the handle will be very easily snapped off in our opinion. 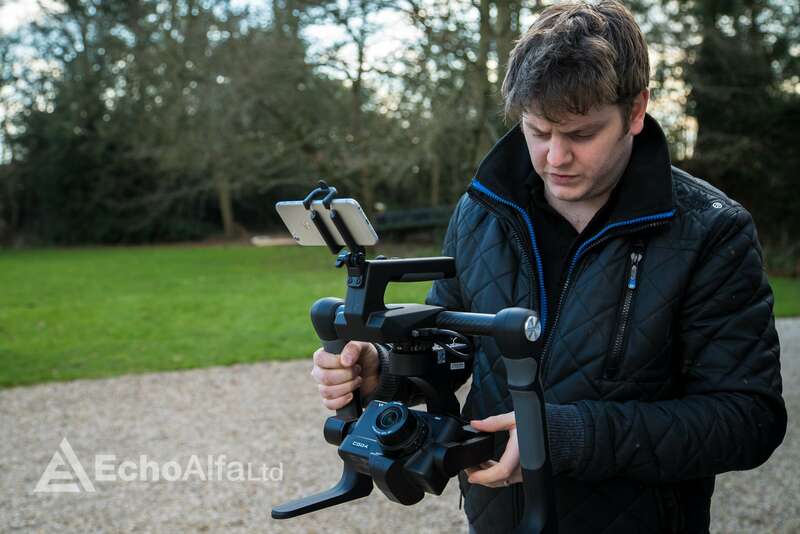 We started by testing out the Proaction ground handle with the CGO4 camera/gimbal attached. 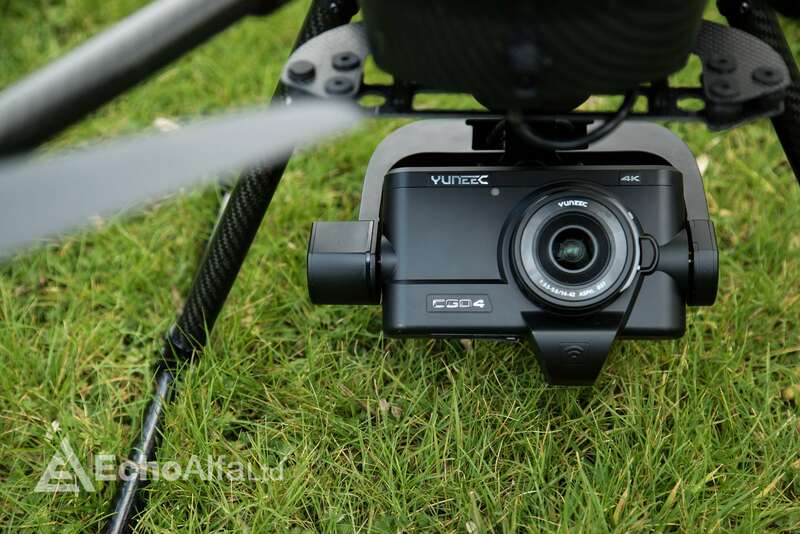 The CGO4 is Yuneec’s own camera that they have worked closely with Panasonic to create and is basically a modified GH4. The benefit of this is that you get full camera control from the ground. That means control of the ISO, Shutter, Zoom etc. If you go with one of the other gimbals and want to fly your own GH4 or A7S then you’ll have very limited control over the camera in flight. We joined an iPhone 6 to the CGO4 via the built in WiFi connection using the dedicated iOS App and it was immediately apparent that the quality of the footage being received by the iPhone was not great and there was a distinctive lag. We had a good poke around in the setting but couldn’t find any way to improve it. For a camera operator on the ground the quality of this downlink is so important, especially when you start using cameras/lenses that can zoom and attaining sharp and accurate focus becomes paramount. Moving the CGO4 from the Proaction to the H920 was quite straightforward, if a little fiddly. It requires loosening 4 thumb screws and disconnecting the single link cable. I’m sure this is something that will get easier with practise. 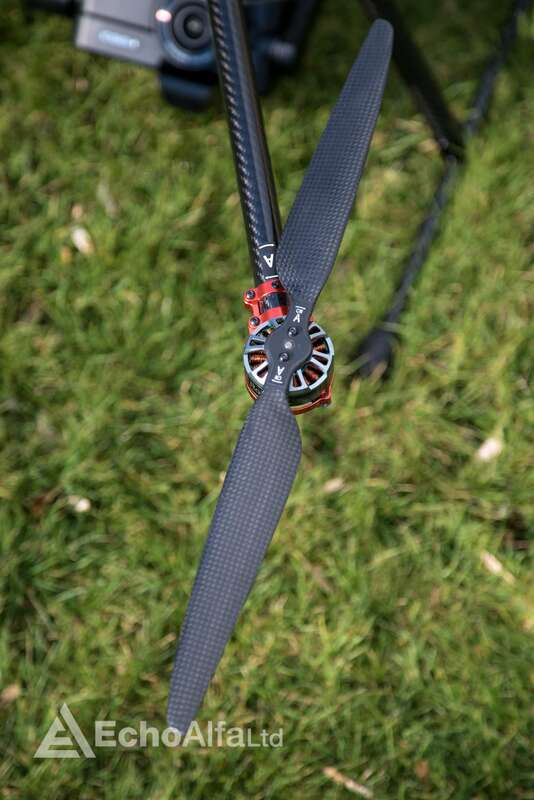 Once the CGO4 was moved it was time for a test flight. The ST-24 transmitter is designed to be used when flying as a single operator and will give you control over the aircraft and the camera. 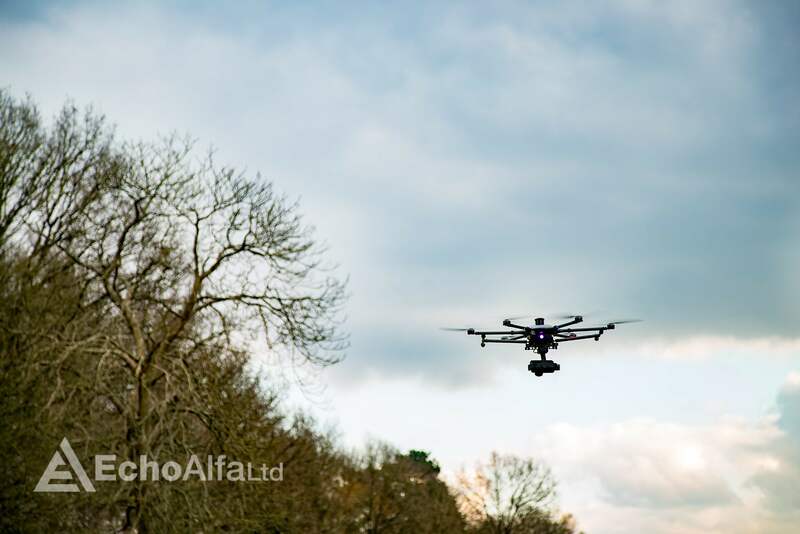 Unfortunately the one available on the day had run out of charge and there wasn’t enough time to get it charged so we had to fly with the ST-12, a simplified transmitter designed to be used for flying the H920 in dual operator mode alongside an ST-24 as the camera operators controller. As a result we didn’t have any control over the camera but could at least see how the H920 flew, the answer unfortunately being not very well! I’ve been flying RC aircraft, mostly Helicopters, for nearly 15 years. 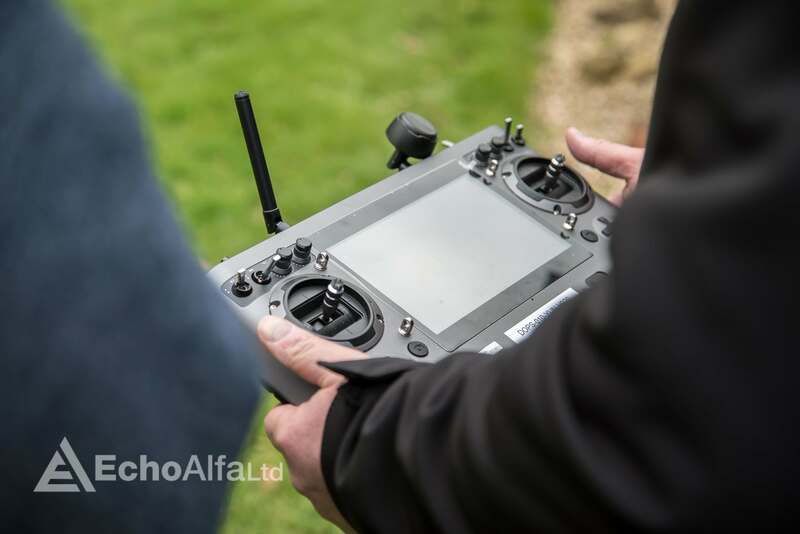 When you add a flight controller to an RC aircraft it should have the effect of making the whole flight experience much easier as the aircraft will practically fly itself, you just tell it where to go. The flight controller is one of the most important parts of these larger camera “drones” as it’s going to be the difference between average footage and amazing footage. Now we didn’t get a huge amount of time with the H920 and I’ll be honest, we were very conscious of the fact that the aircraft had already been purchased so we did not want to be responsible for damaging it. That said I found the flight characteristics disappointing. Take off was OK, once all motors are up to speed a small movement on the throttle puts the aircraft into a hover at about 6-8ft. Moving away from the hover though, my stick inputs didn’t translate into movement of the aircraft as precisely as I’d have expected. Shortly into the flight it was quite clear that there was an audible vibration and we quickly landed to investigate. The H920 doesn’t like landing. When you try to bring it in it will sort of bounce a couple of time before settling but you really feel like you have to fight it down. 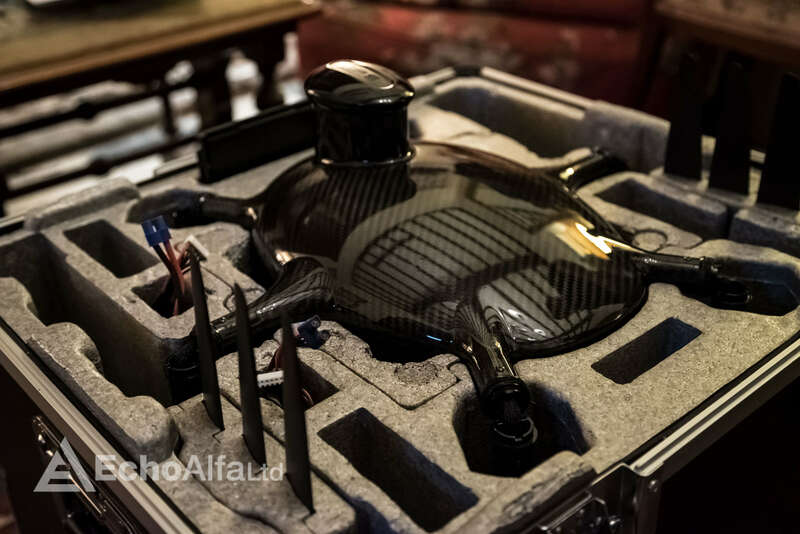 This I’m sure has something to do with how it reacts to its own wash but I’ve not come across this issue before with other drones of this size and shape. Anyway, one of the collars that holds the motor arms in place was a little loose, a quick twist and a check of the other 5 and we were ready to go again. This time I made an adjustment on the transmitter to put the H920 into “tortoise” mode to see if this would have a positive effect on how the aircraft responded. It did not. To explain, both the ST-24 and ST-12 have a slider for “Rabbit” and “Tortoise” mode. The Rabbit mode should make things fast and responsive and the Tortoise mode the opposite. I suspect that all this is doing is dumbing down the sticks on the radio (in much the same way Expo and Dual Rates do) as opposed to making changes to the flight controller’s parameters, the result being an aircraft that responds either sluggishly or not quite so sluggishly to inputs and either way feels unrefined. I can’t help but compare this feature to the Velocity Clamp on Freefly’s Alta which admittedly is a totally different class of aircraft but they are both trying to achieve the same result. The Alta nails it but the H920 has some way to go. After a short break for lunch and with some fresh batteries we got out for another flight. We had now connect a phone to the CGO4 while it was on the H920 so had some, but not much, control over the camera. It was clear shortly into this flight that something wasn’t happy. I could yaw to the left no problem but trying to yaw to the right resulted in a sort of stop start cogging motion from the aircraft accompanied by some odd noises. By this point I was a little concerned so handed control back to someone else to bring it in. On review of the footage it was clear that the gimbal wasn’t happy either as yaw movements were not smooth, displaying similar jerky movements to the aircraft. This was unfortunately our last flight so we didn’t get a chance to see if this was resolved by a power cycle and recalibration but I suspect that would have resolved it. We didn’t have very long with the H920 and it would be unfair to make a definitive conclusion based on the little time we did have. What is clear is that there are manufacturers out there that are trying to give the likes of DJI a run for their money. Unfortunately, releasing new aircraft like the H920 to market when they are clearly a long way from being the best that they can be only goes to highlight how good the competition is. 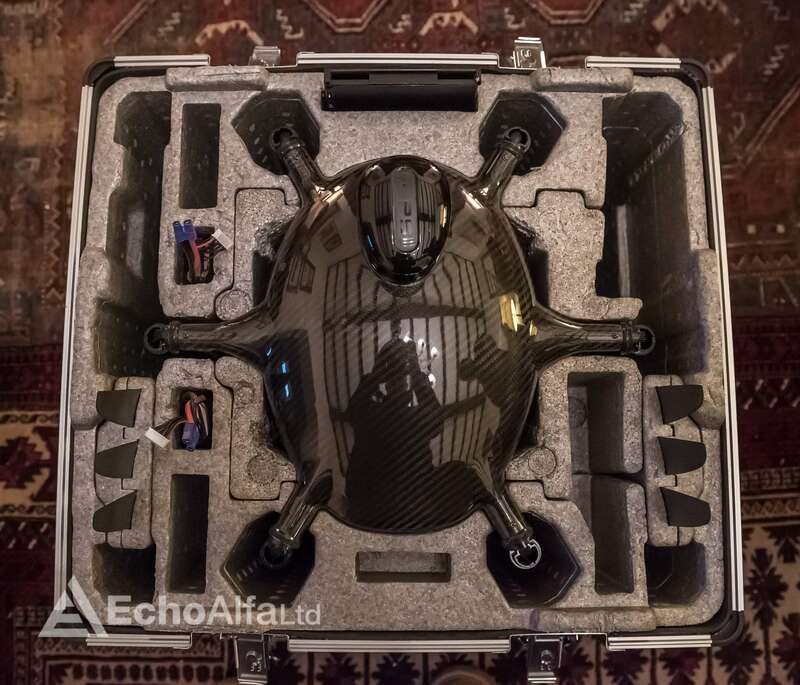 I think the Yuneec Tornado H920 has the potential to be a very good platform, as it has a lot going for it, but I just wonder how long it will take to get there. If it gets there at all. 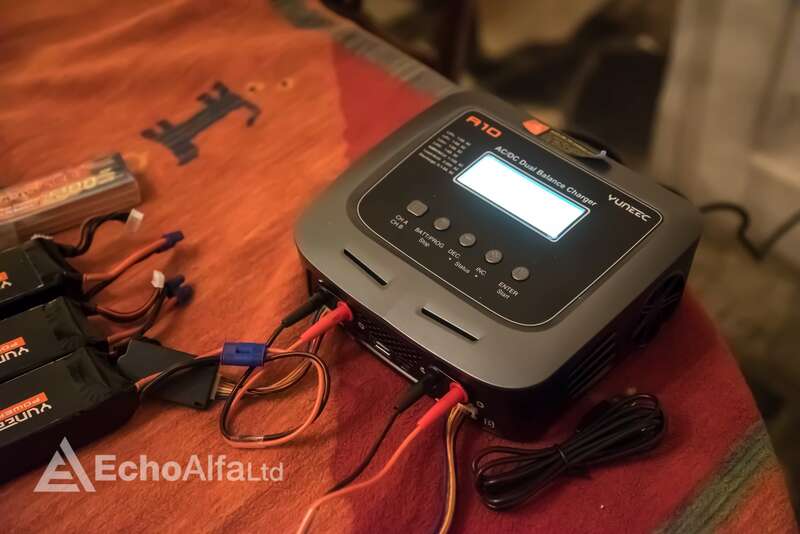 As a H920 owner in the UK, a few of the things you have said ring very true here, however, i would say it sounds like you were somewhat unprepared and unlucky on your test day. Having not charged the ST24 (which is the main control device for the aircraft) and then using the ST12 (which is only really there to move the camera up, down, left, right) i don’t think that you are really able to accurately comment on the performance of the aircraft. Also, i can certainly say that the more you fly this machine and start to understand it, the more you would fall in love with it. 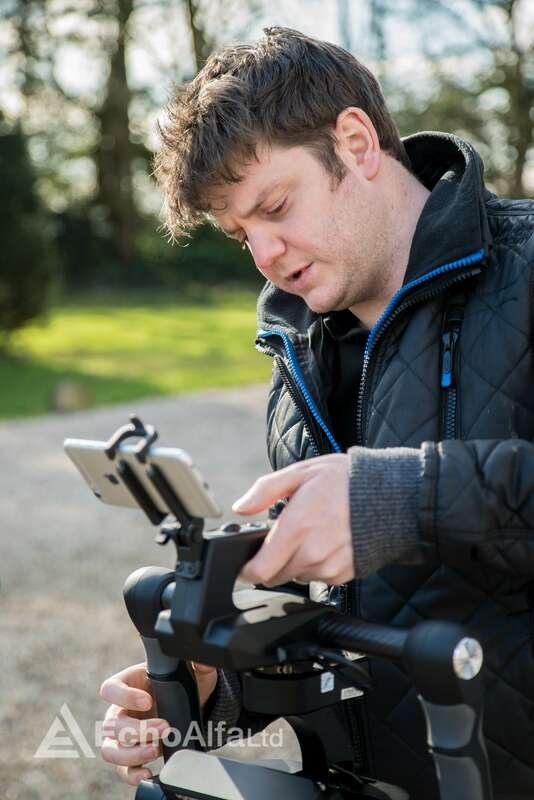 So, yes the manual camera controls through the ST24/ST12 are currently lacking, yes it does bunny hop a few times before landing (which can be frustrating and needs to be sorted), yes the plastic on the ProAction Handle isn’t the quality it could have been and the camera feed through your iPhone option is a bad idea for serious filmmakers. 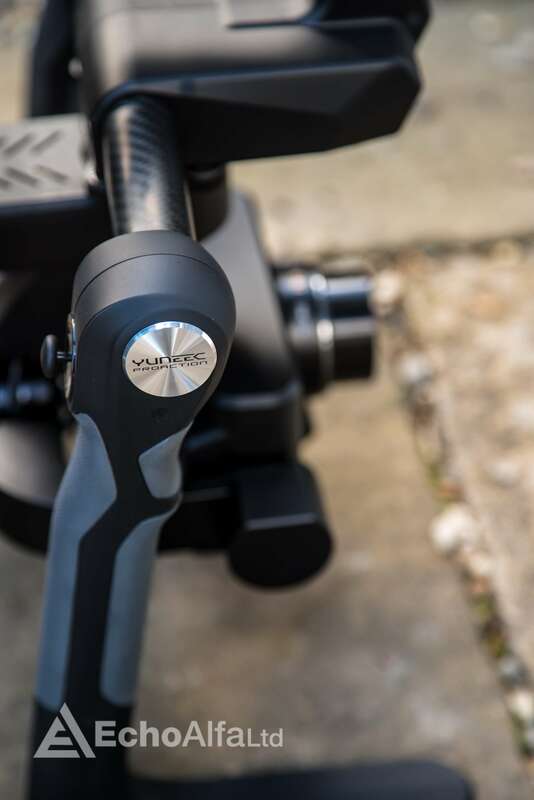 However, spend a few moments on a Yuneec forum and you’ll read that us users have already found a way to use some very high quality 4k monitors attached to ProAction which suddenly propels it into a seriously high end and very capable ground gimbal system – all for around £350! 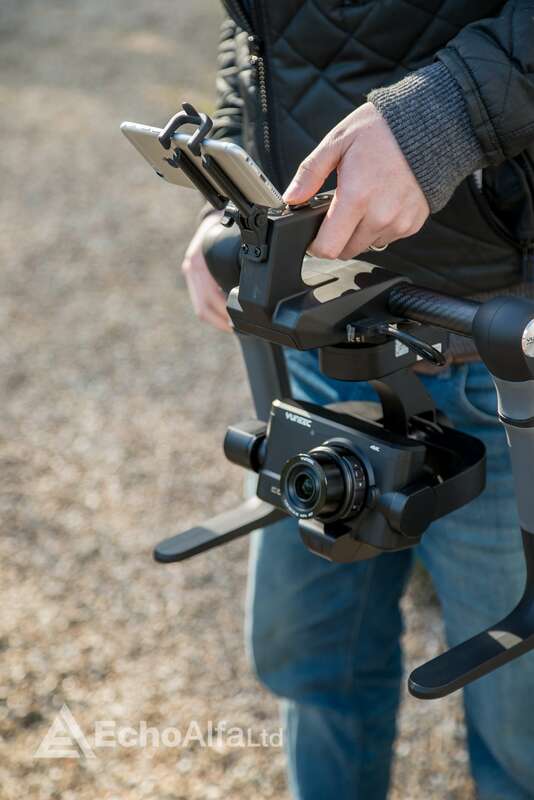 Good luck finding a very capable gimbal for ground use for anywhere near that price elsewhere. One other huge thing that you haven’t covered here is the truly outstanding customer support that Yuneec offer, both in the UK and elsewhere. The minute you have a concern or issue, all you have to do is pick up the phone or bash out a quick email and someone will be back to you shortly. Now, this isn’t someone sat in distant China reading you extracts from a poorly written manual, it is an experienced UK RPAS/UAV operator or engineer who has a name and who you’ve chatted to numerous times already. 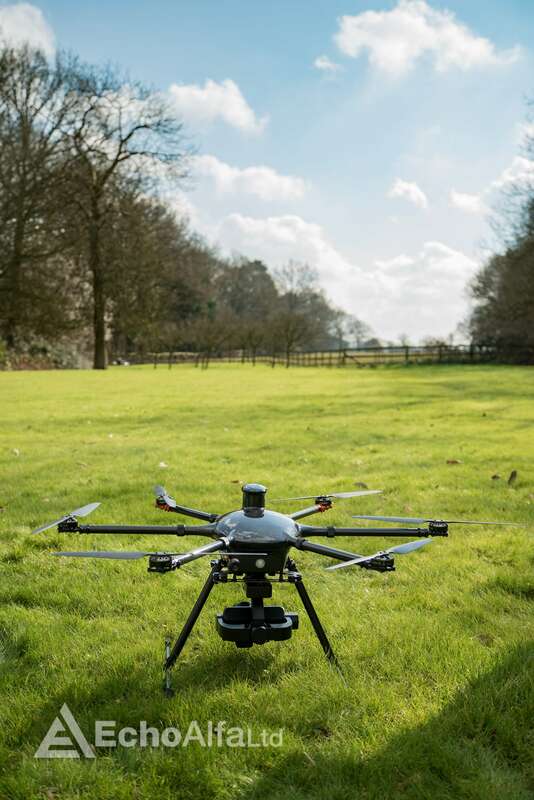 The service is excellent and it is easy to build a report with the guys at Yuneec UK so that you feel (and are) truly looked after when anything isn’t right. What’s more is that these very same people continually ask what can and should be improved on the aircraft and go out of their way to fire this back to China and get answers and updates. 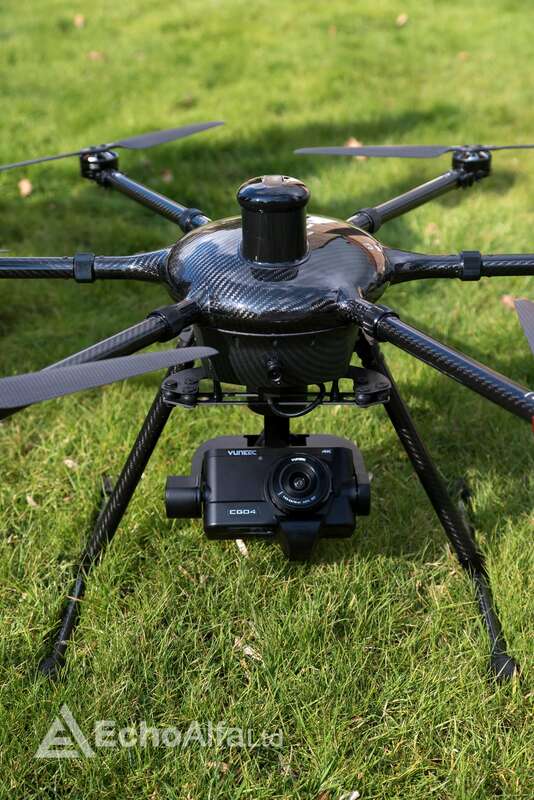 I think your quick assessment of this kit has not been as accurate or as thorough as it needed to be for you to comment on how good or bad these systems are or more to the point, how good they will be when Yuneec’s customer service has ironed out some of the niggles. Chat to our small group of users in the UK and you’ll find that they are all generally very pleased with it’s capabilities and are looking forward to the even better features and support that is on the way! Thanks Ali, It’s encouraging to hear such positive comments from an actual owner. We were fully prepared to place an order for an H920 the day we went to take a look at it but there were just too many niggles that didn’t sit well with us. It’s not a small investment and I personally would like to see the whole experience considerably more polished before spending that sort of money. This article was based on a very short amount of time spent with the kit and I totally agree that part of the issue here was that the ST-24 was not charged, something that was out of our control. 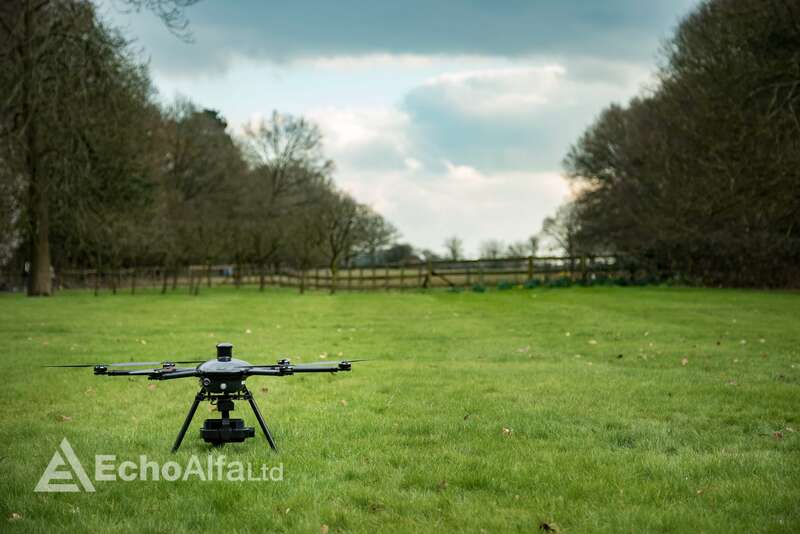 Obviously not being owners we couldn’t comment on the support from Yuneec, but it’s great to hear that they are making it a priority, if they can get that right there are whole hordes of disgruntled DJI customers that will be all too happy to find an alternative manufacturer. This article is by no means a review, just our first impressions. We will be borrowing an H920 in the near future, at which point we will be able to spend a lot longer with it a give a much more in depth review. We’ll be sure to reach out to the community and Yuneec when the time comes.